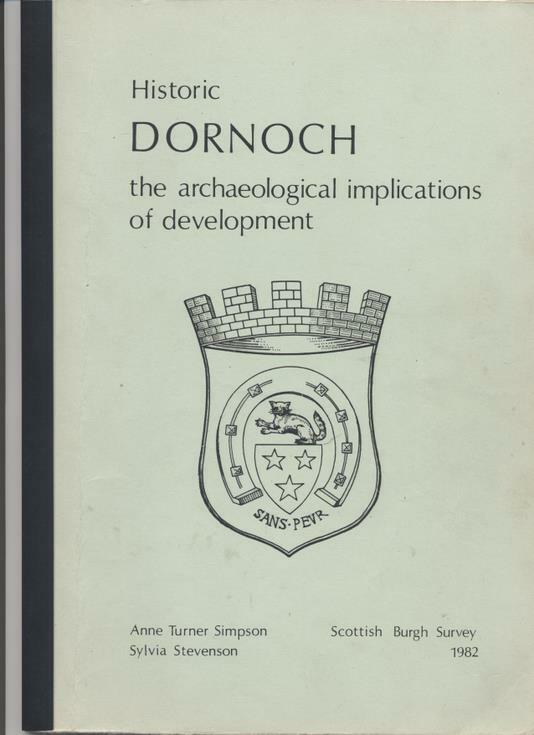 Booklet entitled "Historic Dornoch - the archaeological implications of development" by Anne Turner Simpson and Sylvia Stevenson, published by Department of Archaeology, Glasgow University, 1982. Lists important archaeological features. Contains useful maps. 25 A4 pp text plus 3 maps in green paper cover with black plastic slide spine.